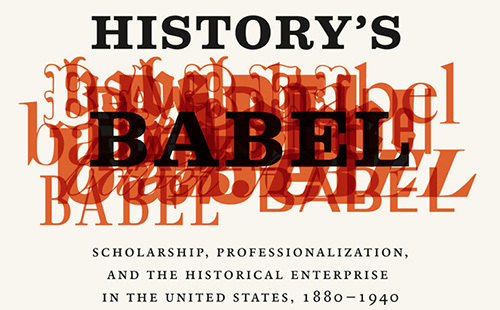 Sept. 17, 2014 — Robert Townsend, a former deputy director of the American Historical Association and the current director of the Washington office of the American Academy of Arts and Sciences, is the author of History’s Babel: Scholarship, Professionalization, and the Historical Enterprise in the United States, 1880-1940. Townsend demonstrates that, a hundred years ago, there was a broad group of people involved in the “historical enterprise” and integrated within the ranks of the American Historical Association. These included archivists, librarians, state historical society workers, high school history teachers, and university professors. By 1940, however, tenured research professors and their concerns came to dominate the American Historian Association and its activities, with the rest of the “babel” marginalized. In this interview, Townsend discussed the consequences of this split for how historians have participated in (or not participated in) debates related to school curricula, museum interpretation, and other public issues. We also discussed other difficult issues that currently face historians, including possible changes to graduate training and the costs and benefits of historical writing having become so super-specialized.